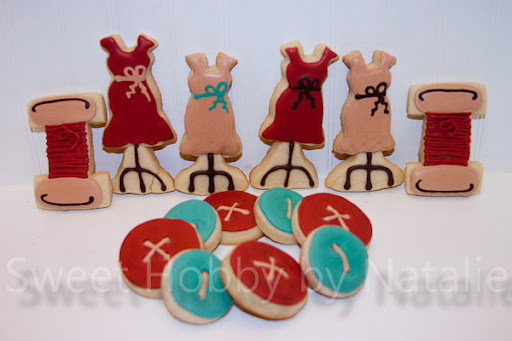 Sweet Shop Natalie: Sew much fun! I really need to stop taking pictures at night they just don't look that great. 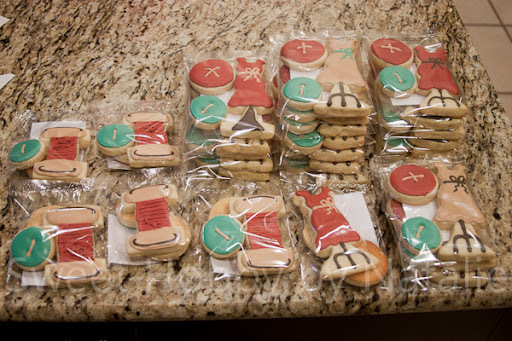 My niece teaching high school sewing classes and she wanted to give them cookies for those students who passes some big test they had to take. I made some sewing cookies for her birthday last year you can see them here, and so she asked me to do some for her students. I was going for a red color but it was not quite working out but I think the scheme I ended up with worked out great. She had 22 girls and 5 boys. The girls got the dress forms and the boys the spools of thread. Thanks Brittany for trusting me to do this for your students!